I have signed on to another book review program, because I’m a little bit nuts. This one is Beyond the Page from Crossway Books. They post a list of available e-books, and I pick one. Then I read it, review it, and keep the e-book. There is no expectation that it will be a positive review, just that I won’t slander the authors. I will take this opportunity to mention that I review books for multiple companies through their freely disclosed blog reviewer programs—there is no special relationship with any of them, nor do I endorse everything from any of those companies. Today, I want to look at a family devotional book called Exploring Grace Together. 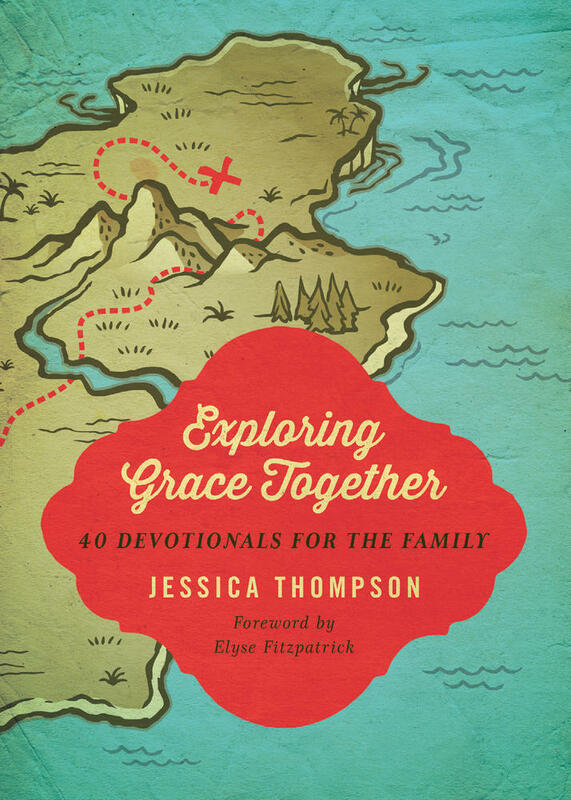 It’s by Jessica Thompson and published by Crossway Books. This is book of 40 devotionals aimed at a family audience. The first thing I would note on Exploring Grace Together is that we are not looking at a Bible Story book. These are devotionals hinging on overall Scripture concepts rather than extracting meaning from a particular narrative. Second, I would note that while every devotional in Exploring Grace Together is headed by a Scripture verse, these are not proof-text style verses. They are verses that illustrate the concept in the chapter, and work well as memory verses. Third, Exploring Grace Together is an easy read. There is a tendency toward simplicity. This develops the usability of the devotionals for families with younger children. Once past middle school, though, this will be a bit too light, but children through the middle ranges can be challenged to think more deeply than early elementary siblings and grow through the process. That leads to one of the better ideas for use of Exploring Grace Together. This is a great start point to let your older children lead your younger ones, if there’s a wide age spread there. Let your pre-teen read aloud and ask the questions, watch the conversation develop. That is how we will be digging into this as a family. Overall, there are the usual drawbacks of a family-oriented devotional here. It could be too short at times, too long for others. If you are a homeschool family, devotionals about “kids at school” can be harder to find application for. That does not diminish the engaging style in Exploring Grace Together. The discussion questions can pull thoughts out from many, and each chapter fits well into a dinnertime time slot. Doctrinally, this one is right down the middle, and I didn’t see anything to be concerned about wherever you fall in evangelical Christianity. Obviously, if you’re not a Christian, this book will make precious little sense unless you stick in the first two chapters and come to the faith. I see no difficulties recommending Exploring Grace Together.